Slow Sleep – the blog of sleep: Is Jet Lag different when travelling from East to West? When we travel long hours and cross at least a couple different time zones, we may feel a strange malaise, a pervasive drowsiness, or an overall sense of estrangement. It’s what we call jet lag, or as specialists refer to it, “circadian desynchrony“. A softer and less persistent version is “travel fatigue“, a sense of exhaustion that can occur even without crossing time zones. Jet lag occurs from desynchronized sleep-wake rhythms that upset the body and mind. But does it matter whether we travel eastward or westward? Is there a direction in which jet lag has less of an impact? It may seem hard to believe, but it’s true: travelling to the right has a different effect than travelling to the left! To measure the effects of East-West and West-East travel, we can use a mathematical function developed as part of a study published in the journal AIP Chaos. 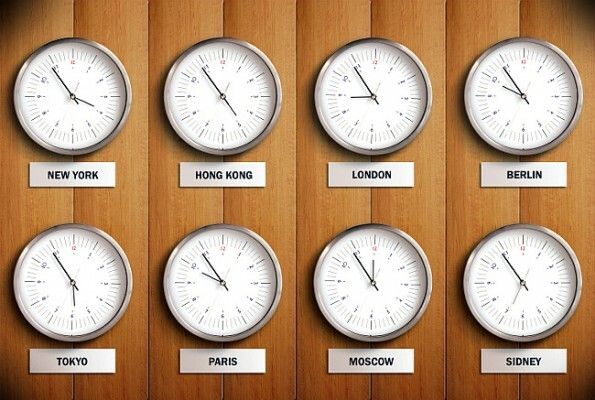 According to researchers, travelling eastward leads to stronger symptoms of jet lag. This might seem to be attributable to the activity of special cells in the hypothalamus, which are quicker to stretch the circadian rhythm (which occurs when travelling West) rather than shorten it. Travelling westward means “going back” in time, lengthening the day. In contrast, travelling eastbound shortens the day. In other words, we get closer to bedtime as we move to the east (when it’s the afternoon in Italy, people in Beijing are washing the dishes after dinner). If we take a closer look at the formulas, which indicate the exact recovery time depending on the amount of zones we cross (and in which direction), we can limit damage due to jet lag, making it easier to manage. Melatonin, a hormone produced by the pineal gland, has always been the panacea for transcontinental travellers, thanks to its ability to regulate sleep-wake rhythms. Once you arrive at your destination, even exposure to the sun can help the pineal gland adapt better. The retina (via the hypothalamus) signals the information that it is day-time. Drinking plenty of water during a flight also helps limit symptoms of let lag, but all these remedies will prove useless if your mattress isn’t up to par! Not sleeping well? Go to the dentist!